Woke is a political term of African American origin that refers to a perceived awareness of issues concerning social justice and racial justice. It is derived from the African American Vernacular English expression “stay woke”, whose grammatical aspect refers to a continuing awareness of these issues. Its widespread use since 2014 is a result of the Black Lives Matter movement. 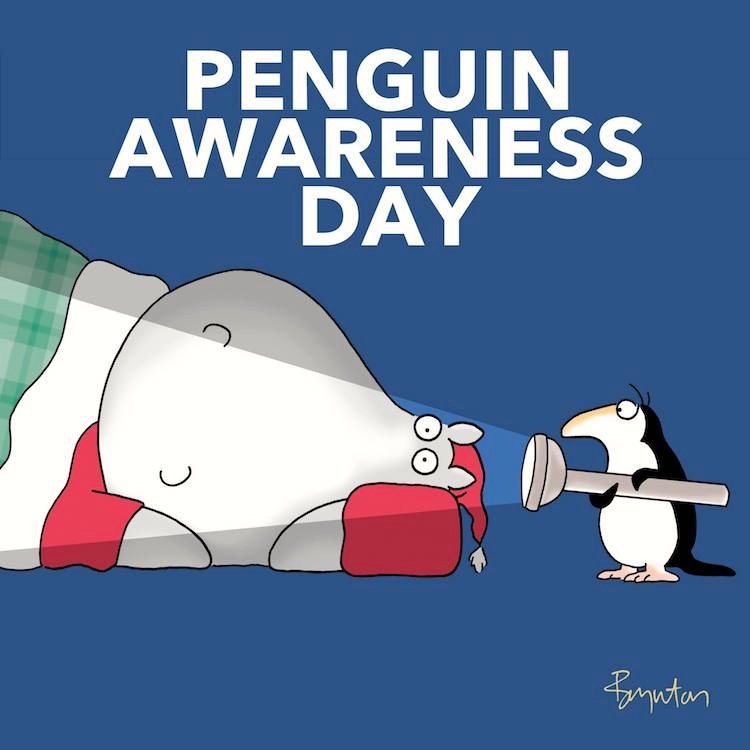 This entry was posted on January 20, 2019 at 6:10 am and is filed under Holidays, Linguistics in the comics, Penguins, Silliness, Slang. You can follow any responses to this entry through the RSS 2.0 feed. You can leave a response, or trackback from your own site.